At Spring Agora Kraków 2018 there will be two candidates for the position of Financial Director of AEGEE-Europe: Luca Bisighini and Oğuzhan Ayhan. You can check their programmes in the AEGEE Agora site. 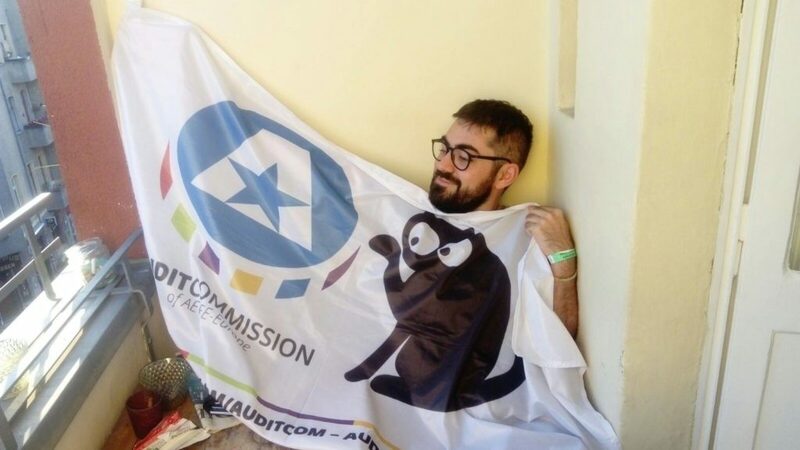 Luca Bisighini from AEGEE-Brescia is best known for being President of the Audit Commission, for founding the Migration Interest Group and his love for cats. Check his interview! Gunnar Erth: Luca, how would you describe yourself in five keywords? 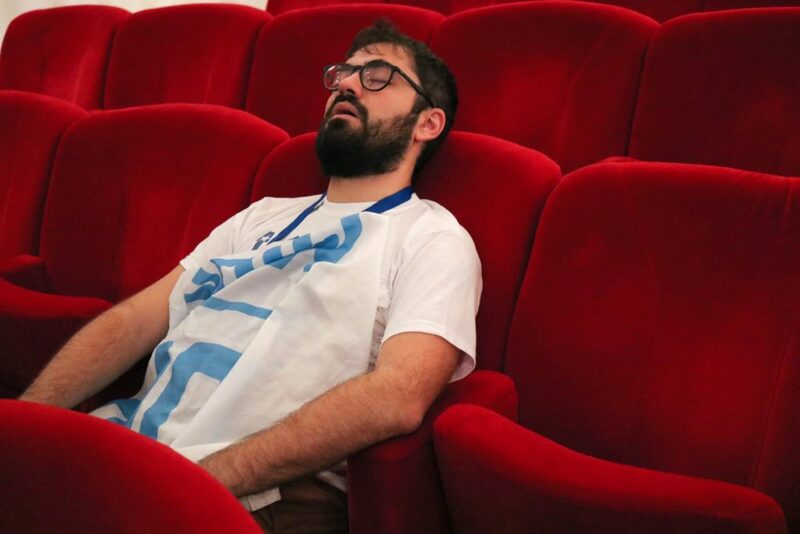 Luca Bisghini: Let’s go with: privileged, steady, transparent, workaholic and open. You are involved in many AEGEE bodies and projects. Will you be able to stop all of them immediately if you get elected? Considering three bodies I am active part, well, yes for two of three. I just have the knowledge transfer to do with the soon-to-be treasurer of the AEGEE Academy, but I guess it won’t take that long. I don’t intend to have any active tasks next to the CD, just as support or advice. You created a team of ten subcommissioners for the Audit Commission. Can we expect also a big team of Assistant Financial Directors? Actually those were not 10, but 21 from Agora Chisinau to Enschede and 15 from Agora Enschede to Catania. In general, I don’t think I will need a big team to do my job, but before taking decisions I want to have a chance to examine first my schedule, workload and budget. You work as Audit Commissioner gave you insight in the work of Financial Directors. Which are the typical financial mistakes that CDs make – and how does your experience help prevent them? I had chance to see the work of three Financial Directors. I haven’t seen major mistakes from their side, only minor things for tiny, not that relevant amounts, meaning we had a good accountancy internal level from previous Financial Directors and the appointed External Audit. Just one big issue: not providing a balance sheet is quite a huge deal we lacked. I complained about it in the past, right now it seems we are going to fix it – so: everybody happy. The income side of AEGEE has been deteriorating in the past years. You want to find new funds. Can you name three concrete sources that you want to tap into – and what sums are we talking about? At this very moment, nobody in the Network can come out and say: “Hey, here are new funds, 100% guaranteed”. Nobody. Unless this person knows some sheikh or entrepreneur willing to rain money on AEGEE. 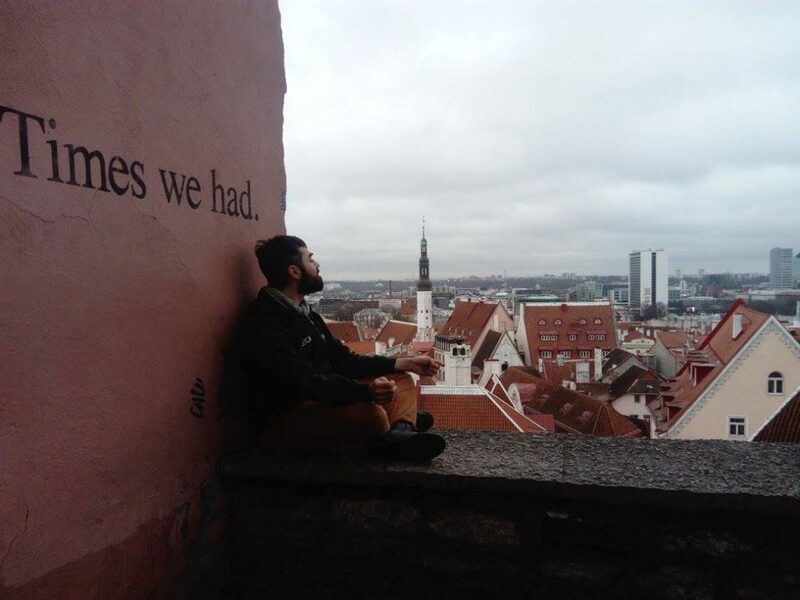 All these new funds AEGEE got clearly passed by a step-by-step work process from the Erasmus+ Key Actions, to the Operating Grants to build the so dreamed Secretariat, to any other way of funding – see sponsors or even crowdfunding as we witnessed with “Europe on Track 5”. If I think of concrete sources, I think mostly at better performing. First, better performing happens through involving more members, second by finding global sponsors for our projects and branded initiatives, and third by implementing a system of visible donors, all the time available. The sum will depend on the people we get into those processes, so I can’t forecast it by now. One income source you suggested are tenders from public tenders databases: what tenders can AEGEE compete in? AEGEE right now has already some tenders ongoing, result of coordinated work with other institutions and NGOs as well as constant attention on the Public Tenders Portals proposals. AEGEE is a provider of education and training. We do fit well on that scope and we need to be ready and prepared for any potential offer. You want to put a stronger focus on European projects as a backbone of AEGEE. What needs to be done? And in what way will you get involved as Financial Director? AEGEE has a good potential to sell their concrete internationally based projects to many companies in return for funds. Don’t you think that even some small and medium-sized enterprises would not be interested in giving us some money, even a tiny sum for some visibility on European stage in a developing market? Just look at the sponsors of Agora Krakow in their partners group… They are there, publically visible. Look at the ones you can see in the Key to Europe or on the website. If we are not able to sell those projects, we are condemned to a trap we won’t get out that easily. To get there, we need to set up a precise marketing campaign. By looking at the other CD candidates, I noticed already many who can work together with me on this strategy – and this makes me feel good! You want to improve the financial management of the network. Many before you tried financial education. How will you succeed where others failed? I don’t think others failed. They tried, prepared or even reformed the ground. Some Financial Directors of the past should be proud of their work in this area. The problem of AEGEE is to make things in an overcrowded environment. It’s a matter of talks and discussions. In many universities, the Accountancy and Reporting classes include “Communication”, because you must be able to communicate data. Just look at the Audit Commission: everybody laughs about the cats, but everybody forgot the work of dozens of people and hundreds of treasurers in all of Europe, which is put at test on a yearly basis. All these people can put a “financial-based activity of treasury or auditing” in their own CV later after this one year, which is something valuable. Interesting, right? But how many times do you hear these stories? Almost never. Many treasurers thanked me for the help and better understanding. This is the best feeling you can get in AEGEE: being happy and willing to keep doing some work that many people judge as “boring” or “meaningless”. Education and training can be fixed just with continuous dedication on the topic with some adoption of innovative non-formal education training. You want to decrease the AEGEE-Europe expenses. Which budget lines will you cut exactly? How do you want to prevent negative consequences for the work of the CD and the network? Coming from a corporate perspective, I am quite surprised to see that we are wasting thousands of Euros for something we don’t have that much of control of. We can reduce for sure the costs of internal publications, membership cards and materials. Who is benefitting from them? We are losing approximately 5 to 10 locals per year as it happened in the last two years. Go count and then make the average of all the locals who show up in Enschede, Catania and Krakow and make an average to discover the living core of AEGEE we are shrinking to. The impact on CD life by cutting costs here would be minimum, while the impact on the network would be a choice I forward to the network: Network, are you more interested in having more friends in more cities in Europe – meaning more locals or expansion projects – or do you want more printed badges or publications? Choose wisely! Which big measures must a shrinking AEGEE undertake to secure long-term financial sustainability for the next 10 or 20 years? In order to make AEGEE survive in this competitive landscape, we need a multi-fold strategy. On one side we have the institutional fundraising – see Erasmus+, foundations, operating grants to build up a secretariat and others. On the other side, we need to make AEGEE popular and relevant again among students’ organisations. This involves PR and marketing on Brussels’ level. We need strategies to put us back on the map. Third, we need to look out more. We need to cooperate way more with NGOs, foundations and companies. Last, we need to find our core competence and operate some brand positioning choice and exploit our competitive advantage which are, at today, still SUs. In one word, what about a three-year Financial Strategic Plan? I have no problems to admit the problems caused during the activity report session at Agora Catania or the question to Dominic. So, 50% is true. The rest – fees and financial reports – are false accusations provided by someone with distorted sources or whatever they heard. But well, regarding finances and non-disclosure agreements and people respecting these NDAs… oh my god, I heard so many weird internal news from a bulk of “European active people” that this type of question makes me feel quite cozy. How do you want to prevent such situations if you will be elected? That’s easy. I am up to share what is needed, but only if you have an allowed document. That’s what I have done for the last two years. It won’t change that much. Anyway, I think – especially at the European Level – we have a serious internal misconception of which type of human resources model to connect to non-disclosure agreements. 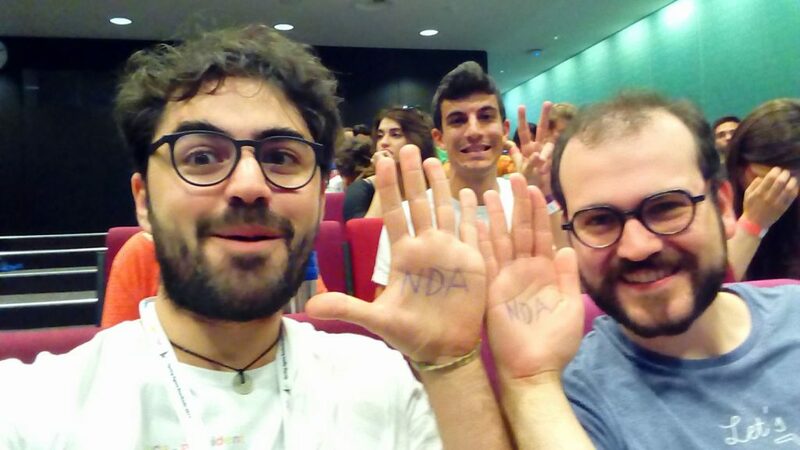 Many people in AEGEE are living NDA just in a precise – and to me wrong – HR concept of having a top-down hierarchy perspective all the time, forgetting the cons of it! They forget especially the fact of having a volunteers’ based flexible organization – and what the NDA actually allows. What do mean by this? Many people in this organization are wrongly using the NDA as tool to stop discussions and communication, creating a mid-run disaster they might not think of: How can you think to pass the torch for any volunteer position if you don’t allow the people to go through the process of learning and doing in an organization of volunteers, which is demanding flexibility. Having these absurd top down directives – mining the signed contracts per se – is bad. NDAs should allow you a limit towards the external world, not the internal group you are in. When this does not happen, I am not surprised later to witness the consequences of such lacks. I will work on a feasible HR, NDA-respective model with the bodies I will have to work with. Question 1: As you are highly active in almost every body of AEGEE, can you specify maximum three of your most important priorities that you as potential Financial Director would like to work on? Working with projects on their fund-raising by involving many bodies at the same time and developing an external marketing strategy for AEGEE are the two main goals which will see several bodies involved, too. The spending review made me cut the last point. Question 2: Can you elaborate your knowledge and experience in the field of economics, mainly financing and budgeting? I have an MBA degree, studied abroad, worked in corporations dealing with exports, banking, financial services – and I have been studying many different economic related classes since 2005, more or less till 2016. So for the past 13 years I have been dealing with economics in many fields. Question 3: Based what happened within CD 55, how would you prevent resignations within the team? To be honest, I still don’t know properly what happened to take a point. Anyway, I have no will to continue the drama, so let’s move forward, as I am sick of these scenes. I think there is no better recipe than clarity and hard work. Reliability and communication. Understanding and some time off to clear up our minds and settle things privately by using conflict management skills. Some goddamn smiles and jokes and hugs, from time to time. We are not slaves for this organization. We are running for a board promising to be there for 13,000 people in need of a direction, example and leadership. All of us will be in the same boat. If somebody leaves, we will all lose it. CD 56 and all the 13,000 of us. Question 4: Regarding the spending cuts: some of AEGEE’s income is labeled, meaning certain grants AEGEE gets are only able to cover certain costs. Does this conflict with your proposed spending cuts? I am among the very few ones in this network who knows in detail how the grants have been spent in the previous years. So, the answer is no. I know indeed that what I need to cut on has to be reinvested in NGOs. I would like to see money going in stabilizing new project ideas, aiming to expand either in new topics with some good potential or better, to expand our network as it’s hard to get there. Question 6: What do you think about the Antenna Criteria proposal proposed by CD? It’s a brave concept to reduce bureaucracy, but is bureaucracy reduction going to solve problems or creating them? I realise many issues, which can be fixed during the prytanium. While I don’t see many problems for the “Becoming a Contact Antenna”, I see some problems on the “Becoming an antenna” side. In the field of finances, not having access to the antenna account data will lead to problems and we already had problems related to finances due to local mismanagement or robberies. The criterion to submit financial reports should remain and even be reinforced with more data – total budgets – if you want to have the network some form of transparency control and financial safeguard, before any potential negative issues arise, which might lead to a Mediation Commission case. I am also skeptical about not having to send anybody to Agorae and Network Meetings, which might lead to a reduced democracy process, less participants at Agorae and a reduction of the internal education and sharing of best practices. The rest of it seems ok and acceptable. Regarding the “Remaining antenna” part I would like to ask the CD what are their plans, especially considering the fact that in 2017 only 120 locals – according to accessible data – made European Events and considering that the number of SUs is going down year by year. Read Luca Bisighini’s programme here. Check out also the interview with Oğuzhan Ayhan.